I know, Halloween has passed - but I wanted to share a few pictures from the Hands4Hope Haunted House. It's the biggest fundraiser we put on and our volunteers have the best time. 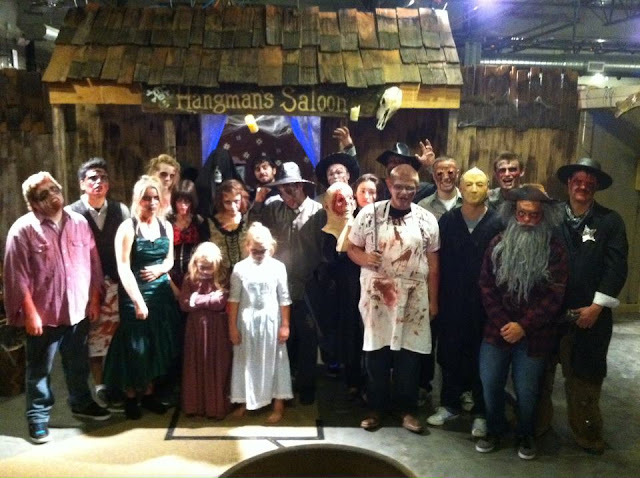 For 3 months - volunteers (youth and adult) build and decorate our elaborate Haunted House. Each year (this was our second year) the theme changes, and the characters and props inside change too. This year - those who dared visited The Haunted Saloon! The majority of all of the items inside are donated... and all of our live "characters" inside are youth volunteers. 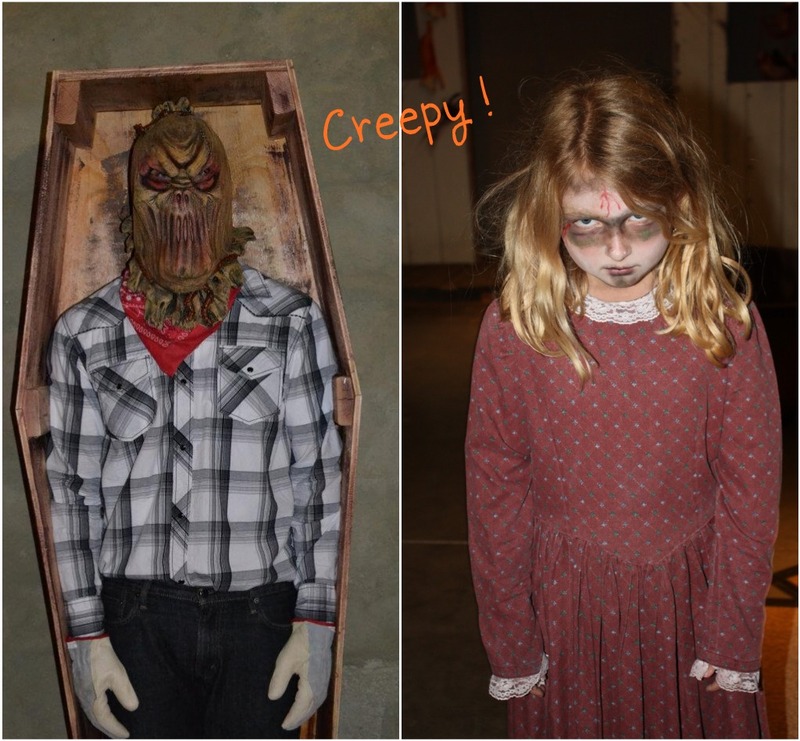 It is so much fun to see it all come together... and the kids have a great time scaring the poop out of our visitors on their 5 minute journey through the saloon. 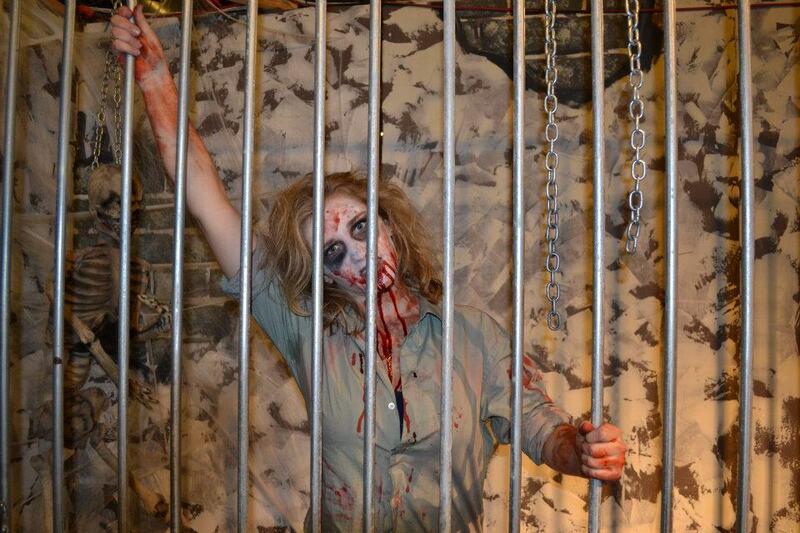 During the 3 weekends we were open, our Haunted House had almost 3,000 visitors! Our youth and adult volunteers spent thousands of hours making this happen. They did an awesome job and it was so much fun to be there and watch the visitors come out! We got so many wonderful reviews... and most importantly, we raised a lot of money to support our community programs and youth outreach activities that support the great mission of Hands4Hope. That is awesome!! Great makeup and costumes! looks really creepy!!! but congrats for raising money! Oh my gosh, how fun!!! Omg those kids look freaky! Sounds like fun, I love Halloweeen! Congrats! They do look really creepy . . . pretty sure that Haunted House would have succeeded in making me squeal. Impressed that you're doing such great work! Holy cow they are freaky looking! Excellent job playing the part!! Whoa! You can tell a lot of time went into that! Very scary!! Oh crap I would have been scared! Creepy!! Lol those are some crazy good costumes...for a good cause too!